New World Wealth (NWW) has released its latest Wealth Migration Report, detailing how many wealthy people have left their homelands over the past year. According to the research group, Australia is the most popular country in the world for high net-worth individuals (HNWIs) to move to, seeing an influx of 12,000 in 2018. HNWIs are those people with a net worth exceeding $1 million. The US is second on the list, attracting approximately 10,000 HNWIs over the past year. NWW researchers said that Australia tops the list because of all of its ‘pull’ qualities, which include high levels of safety, education and healthcare, as well as a more wealth-friendly tax system and growing economy – presenting many opportunities for HNWIs to grow their wealth. It is wealth taxes and healthcare in particular, which may be the deciding factor in the choice between Australia and the US, NWW said. 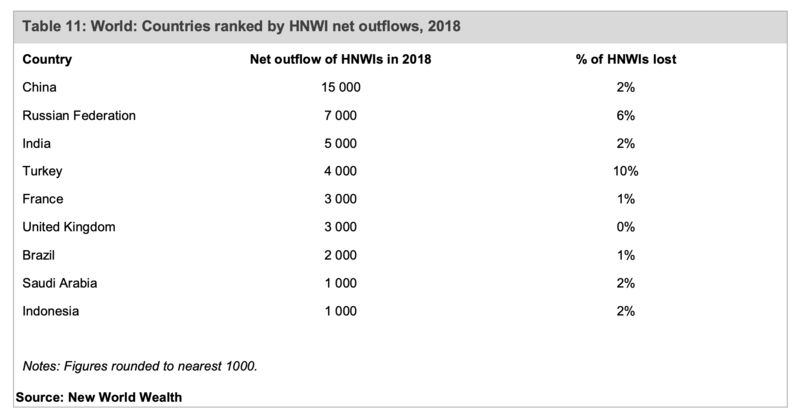 On the other end of the spectrum, China recorded the biggest loss of HNWIs in 2018 – 15,000. This is followed by Russia and India (7,000 and 5,000 HWNIs, respectively), while fellow BRIC country, Brazil lost 2,000. However, when looking at HWNIs as a proportion of the population, Turkey emerges as the biggest loser – with 10% (4,000) of its HNWI population leaving the country. 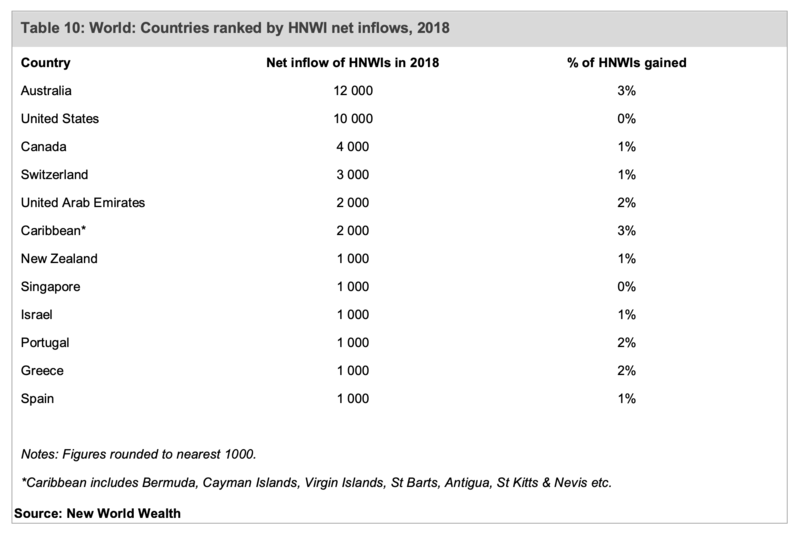 According to New World Wealth, South Africa also recorded a substantial outflow of wealth in 2018. Based on the group’s estimates, around 3,000 HNWIs have left the country over the past decade, roughly 300 each year. “Most of these individuals have gone to the UK, Australia and USA. Switzerland and Portugal are also popular destinations,” it said. This data has been reflected in many other indicators over the last few years, particularly in the number of learners taken out of private schools due to emigration, and a sharp rise in properties being sold for the purpose of emigration. South Africa has the reputation for being one the most violent countries globally, with poor levels of education, high taxes and an interfering government when it comes to the affairs of the wealthy. 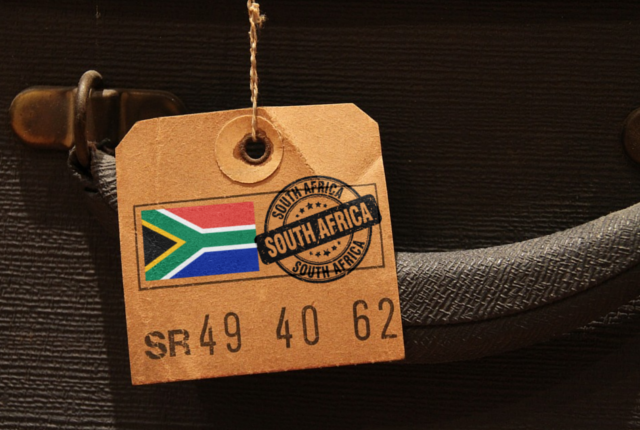 NWW said that South Africa in particular is often cited as being among the least safe countries for woman, however the group views this as a misconception. worldwide with unreliable stats,” it said. Women are also freely able to report sexual assault in South Africa. So in truth, South Africa (and India, which has a similar reputation) are probably mid-range (80-90) out of the 195 countries worldwide in terms of woman safety, NWW said. The research group noted a rise in the number of investor visa programs being offered across the globe, which are becoming increasingly popular among HNWIs – particularly from the Middle East and Asia. These programmes generally require an investment of between $300,000 and $3 million in local property, bonds or businesses and most of this money is usually redeemable after a period of 5 years. Some programs such as the one in Malta offer citizenship right away, rather than just a residence visa. However, despite the recent rise of such programs, NWW noted that only around 30% of migrating HNWIs come into countries under these types of programmes. “Most still come in via second passports, work transfers, ancestry visas, spousal visas and family visas,” the group said.